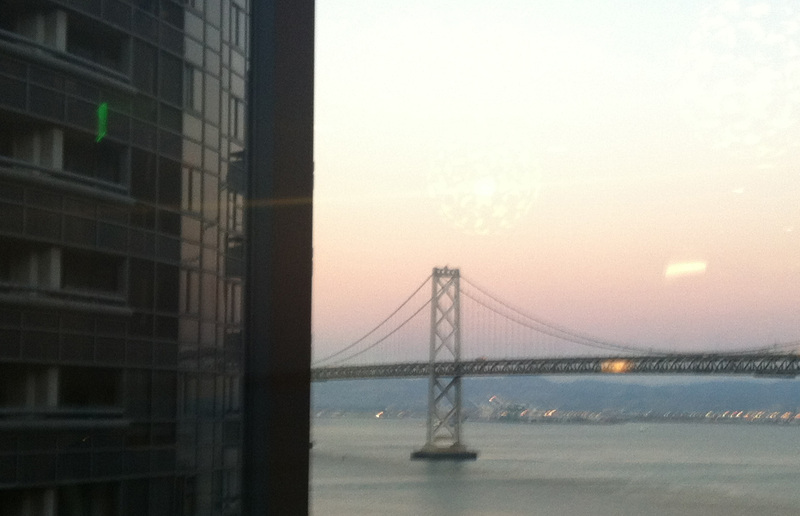 The view from New Relic’s new office building. With a view of the Bay Bridge on one side and the Ferry Building on the other, more than 150 tech-minded people mingled over pizza, soda and beer on Wednesday night at New Relic’s office space in downtown San Francisco to talk about diversity, harassment and values. The crowd was considerably more mixed than the demographics expected at a tech conference. It looked as though there were as many women as men – most wearing hand-written name tags that included their Twitter handle. Other speakers talked about anti-harassment policies for tech conferences, making room for transgender people in tech, and building a better workplace by tackling the culture from its roots. Shanley Kane, another speaker, well known in the community for her web posts about tech culture and feminism, said in the last decade diversity has actually declined in the tech industry.